One of the most priceless things on the internet is its content. That is the reason why content writers are in demand these days. It does not really matter if you have a degree as a writer or not, since you will be working for companies online. This means you can take on this opportunity as long as you can write properly and you follow the instructions of your employer. How to make money through content writing? There are various sites over the internet where companies post writing projects and you can bid on them. Usually, these types of writing opportunities do not pay well, but they can definitely help you earn a good rating or feedback. Most of the time, the request will cover several articles. For instance, a certain company might be looking for someone who can write 100 articles with a budget of $50. You can bid for this project and of course, you might win it if you bid lower than the rest. There are several websites online who offers flat rate per article that you write. Some sites can pay up to $20 to $25 per approved article. However, these websites may require you to go through a process where you might need to submit an application with your resume and an online or offline sample of your writing. If you are able to pass their initial screening then you can start finding projects that you can bid on or work for. There are some employers that may even let you decide for your own price. However, you have to make sure that you can provide them with high quality articles or you will not be paid for the job. There are certain websites that impose revenue sharing as well. This is actually very common to almost all websites. They will have a percentage from your earnings, which means they are earning while you work and earn at the same time. There is actually no loss for the website, since they are earning as long as you do. This can also help them gain more traffic and even more revenues. While there are various options available out there, make sure that you do not focus on all of them. You might end up with too much load and you might be unable to finish a single project, since all your employers might want to be prioritized. So if you are to get into this type of job, make sure that you only take what you can handle. Time management is of utmost importance as well so that you get to pay enough time to each of your projects. That means no projects are sacrificed when it comes to quality. Make sure that you consider certain factors if you really want to learn how to make money as a content writer. There are some employers that may offer a high amount of payment but you will not get paid in the end. This usually happens if the site does not allow escrow payments. 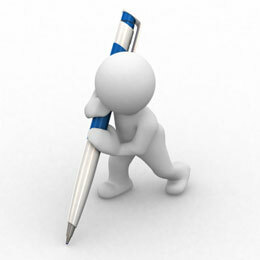 Employers usually take advantage of those writers who want to earn extra income through the projects that they offer. This cannot be avoided so make sure that you are careful when accepting a project or bidding on an assignment.